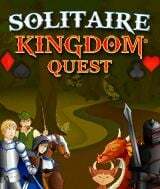 Download Solitaire Kingdom Quest for free at FreeRide Games! Solitaire Kingdom Quest expands on the hit Solitaire Kingdom Supreme game, and adds 60 levels featuring new powerups and new challenges. 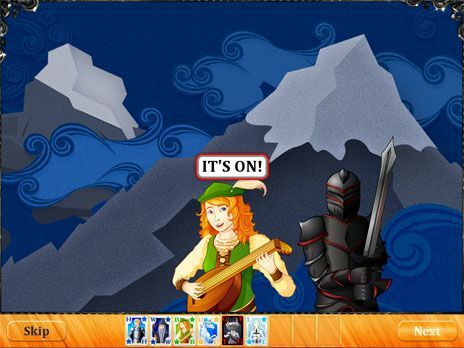 You are chosen by the King to join the Solitaire Heroes and head out on the Dragon's quest. But wait, Evil Knight is not happy about how you are winning all the time and has got some of his own friends to help him defeat you. Gremlins! These mischievous creatures add special challenges to the levels. Can you make it past the Gremlins, beat the Evil Knight at his new MiniGames, and defeat each Dragon Boss level to save Solitaire Kingdom? What are you waiting for? There is a huge amount of Solitaire fun packed into this Card/Casino game waiting just for you. Have fun! 60 levels of solitaire fun, each a unique game. Each level replayable, can you get all 5 stars. Gremlins add a new challenge to the game. New powerups like Wolf Pack and Dragon's Hoard. Pleasing graphics, sound and music. All stats and top scores saved.